TV series, especially those set in Mid-Atlantic states like New York and Pennsylvania, love putting up their main characters in lofts. The loft is the fifth character in the comedy series New Girl. Barry Allen in The Flash lives in an exposed brick loft apartment with his girlfriend. The titular characters in Two Broke Girls seem to also be doing alright if they can afford their Williamsburg hardwood-floor apartment. While these characters having large loft apartments on their respective salaries may be unrealistic, it does highlight a lot about what makes loft apartments ideal both on TV and in real life—lots of open space to move around in, and tons of dramatic natural light. If you’re looking for loft apartments for rent in Scranton, for example, you may have more realistic constraints. Before making your choice, it’s important to know what you really need. 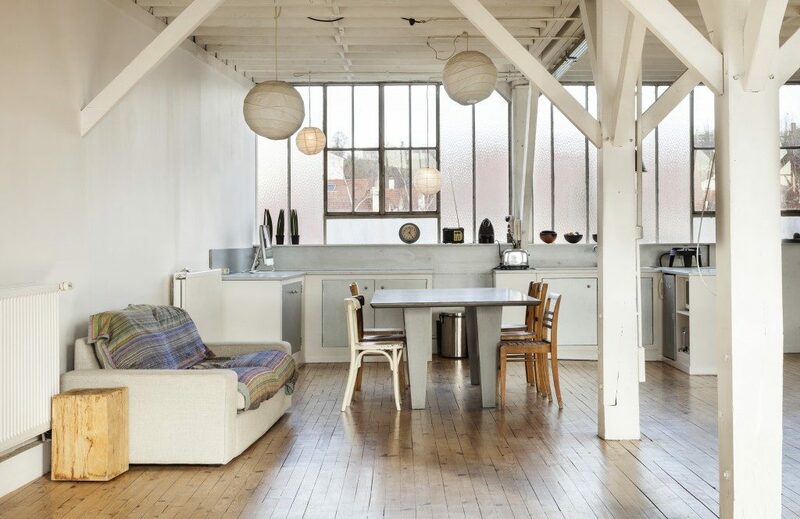 Will a loft really suit you and your lifestyle? Understanding what makes a loft different can help you make a better choice. Historically, lofts were used by struggling artists after the Second World War because the rent was cheap (or, when they were squatting, free). Many of these apartments were converted industrial buildings like abandoned warehouses and factories and were located in the less-glamorous industrial parts of the city. These attracted artists, which turned into enclaves, which over the years then led to the gentrification of the areas where the apartments stood. Today’s lofts are now also located in the middle of large, bustling residential and commercial districts. The original lofts are now in expensive, gentrified areas, driving up their value and demand to such a point that loft-style living has become a selling point. Developers are now putting up loft style-residential buildings. Loft apartments have become a popular residential choice because they are now in lively (albeit expensive) neighborhoods with cafes and boutiques, a legacy of their Bohemian past. One of the original loft-style apartment’s most appealing features is the large floor area, ideal for their artist renters’ work and lifestyle. Today a large part of their selling proposition works for people who value space and flexibility in their homes. Apartments, on the other hand, are built in such a way that one will feel like being in a real house, with separate rooms. The openness of the space is traded in for more privacy. As a homeowner, it is important to determine the kind of space you want to stay. If you highly value flexibility and creativity, then the loft is the best choice for you. Its high ceilings and abundance of windows give every homeowner a sense of freedom. But, if you are a no-frills type of homeowner, then opting for an apartment with closed-off rooms, more wall space and storage would suit you best. Today’s loft apartment is mostly a far cry from its humble roots in post-World War Two America. Some may find it ironic that loft-style apartments originated in the lifestyle of poor artists and squatters, but is now a symbol of prestige and luxury. But it just goes to show that, like people, living spaces and the cities around them are constantly evolving.